Today’s millennial workforce no longer consider their work as a simple transaction of trading their time for a paycheck. As the old way of working becomes an artifact from a bygone age, workers are no longer just measuring their jobs by the size of their paycheck but also by how valued they feel within the organization and how working in the organization helps to nurture their personal and professional development. And, hence ignoring employee engagement is a recipe for high turnover. Gamification provides the right tools to build an actively engaged workforce using game mechanics. This approach motivates them, inculcates a sense of competition and recognizes employees who have achieved the highest points for various rewards and recognition. 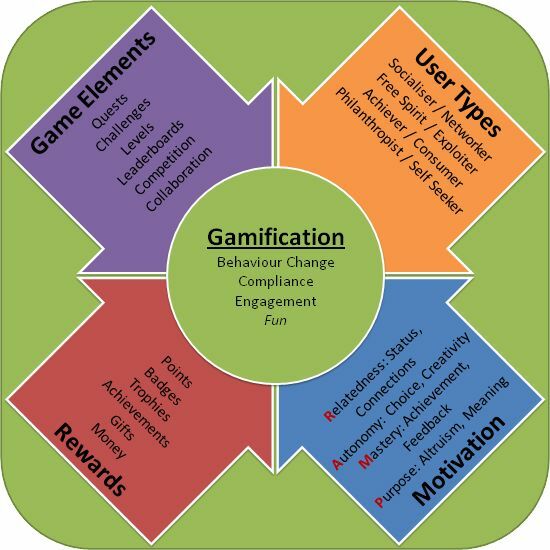 And, hence, gamification is more than just a perk, it’s a new approach to work. Let’s see how gamification can help provide positive employee experience. The idea behind gamification is to introduce a competitive element to your employee’s tasks. A centralized reward system can be used to identify and recognize employees who have met their goals and contributed to the overall growth of the company. This is where tools like Wizergos come into the picture with its ability to track individual and team performance thereby, allowing you to provide tangible rewards for points scored across each task or goal. To engage your employees, it’s important to understand what motivates them and what kind of rewards they want from gamified apps. This will create a healthy work environment where employees can track their performance, know where they and their team stand and work on the areas that require improvement to achieve their individual and team goals which in turn will improve communication and team spirit. A certain level of competition is introduced among the employees when gamification is introduced in the workplace. The desire to outperform their peers and their own best takes over which will improve the company’s performance and provide a sense of achievement and accountability to the workforce. It is extremely important for your workforce to see how their individual efforts contribute to the company’s success since maintaining a sense of purpose is crucial for improving the employee experience. Quantifying an employee’s progress using gamification apps helps them to develop new proficiencies and to take on bigger responsibilities. Adopting the right gamification process requires businesses to first identify an employee’s ability and their area of expertise. Gamification can go incredibly well for a company but if it’s not well thought out it can be a disaster as well. It’s important to develop a sense of competition in the company but this intense competition should not demotivate your employees. Businesses should always remember that each individual has her own pace of learning and competition could be disheartening for those who don’t pick up as quickly. An effective gamification process should always incentivize and inspire employees to take the required action in favor of your company.